Be sure to read all the way down to see how to enter to win Sword of Forgiveness. Ever wonder why some cities just explode while a neighboring town barely grows as it struggles along? New York City is a perfect example of some of the things that can cause a city to grow. How did New York City grow to over eight and a half million people? 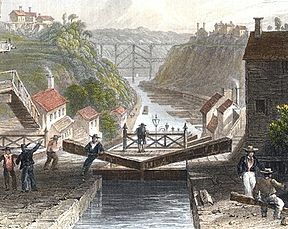 The opening of the Erie Canal in 1825 led to a boom that made for a thriving New York City. It made way for increased exportation and importation that spurred the building of factories and warehouses. But the financial growth of the city also drew investment firms, insurance companies, and wealthy entrepreneurs. By 1835 New York City's population was approximately 250,000 people, a huge leap from the 160,000 residents in 1825, only 10 short years. Life was good and people were living the American dream. The fire was in a warehouse on Merchant Street. When the doors were broke down the watchmen discovered a raging fire out of control. With high winds fanning the flames within fifteen minutes fifty buildings were on fire. New York City had grown so quickly that their water source hadn't kept up with the growth, nor had their fire department. One thousand and five hundred fire fighters, many volunteer, came out to battle the blaze that was consuming their city. There was a lack of water in the cisterns due to two other previous large fires that had destroyed over a dozen buildings. Add to that the freezing temperatures causing the water to freeze in the hoses and you have mounting disasters. It is said the fireman had to stomp on the hose to break the freezing water in them. They eventually had to go to the East River and chop holes in the ice to bring water to the inferno. But they were fighting a losing battle. Philadelphia firefighters came to help and said they could see the glow of the fire from there. By midnight the business district was a flaming inferno. New York City stock exchange, the merchant exchange, warehouses, post office, churches, and banks were burning out of control. Early in the morning the Marines brought gunpowder from the Navy stockyard and blew up buildings in the path of the fire to make a fire wall. When it was all said and done, only two lives were lost. That is attributed to the fact that the downtown area was business and not residential, and the workers had gone home for the night. Seven hundred buildings were destroyed. The great fire left only 3 of the 26 insurance companies in business. The others had to file bankruptcy. Despite the devastation that New Yorkers faced, they showed their American resilience and bounced back. One year later all the fire ravaged blocks had been rebuilt with buildings that could make New Yorkers proud. The devastation that tore through the city that cold night taught New York that changes need to be made in the safety of their city. It spurred on building codes, and ways that fires were managed, but most of all brought the Croton Water System. The system brought water 41 miles from the Croton River by force of gravity alone. So something good came from the destruction of that night. Our ancestors were a hardy lot who cut roads through mountains and forests, settled the untame west, and made America prosperous. But most of all they never gave up. When they faced a battle or a tragedy they put on their boots and marched forward. 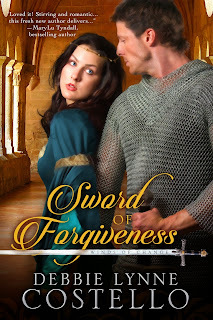 I'm giving away a copy of Sword of Forgiveness to one lucky winner. Leave a comment and let me know if you've ever experienced a fire along with your email address to enter. Share on FB and Twitter for extra entries! Be sure and let me know you've shared. Ends August 12th. I read a book not that long ago about the great fire of London. Horrific. I have never experienced a fire, but my mother's family were burnt out when she was a child. She was taken in by a family down the street until they got back on their feet. Thankfully, I have never experienced a fire! My son was enthralled with the Chicago Fire and how they rebuilt with Indiana limestone. I shared this article with my kids, too. Thanks! I have never experienced a fire (thank goodness), but I feel so badly for those who do. I can't imagine losing a loved one that way or even losing sentimental keepsakes. How did that man know the difference between the smells of the fires? That is so interesting. Thanks for the article and giveaway! I've shared this on twitter and facebook. Always amazing on how fast a fire spread back then. I can see why so many of the insurance companies went belly up. kamundsen44(AT)yahoo(DOT)com. Mary, I've read about the London fire, too. Fires back then were terrible. They just didn't have the means to fight them. Danielle, I didn't know that about the Indiana limestone. I'm going to have to look that one up. It sounds interesting! Loraine, I asked that same question. How on earth did he smell that and know that NYC was in trouble? Amazing! Kim, I was shocked when I discovered how many insurance companies went under. I do understand why, but it was still shocking to hear. Wow, interesting. I associate fire with heat, so it seems so strange that the fire got so big when it was so cold. Thanks for sharing, Debbie Lynne. Thanks for sharing, Brenda. My grandmother and grandfather lost everything when they were young. The house was next to the railroad tracks and a spark flew and started the roof on fire. I'm so sorry about your parents. That had to be so hard. I have never personally experienced a fire but my daughter has experienced three. I am from the Chicagoland area where there was a great fire. I shared on Facebook. Thank you for sharing! Yes, Chicago had a horrible fire. I may have to write a post about that one, too! Thanks for stopping by. Yes, a kitchen fire, thankfully put out quickly by the fire department crew that came. Amazing that in 1835, there were seven hundred buildings destroyed and businesses rebuilt; 47 years of statehood, and the large population in New York City too at the time. 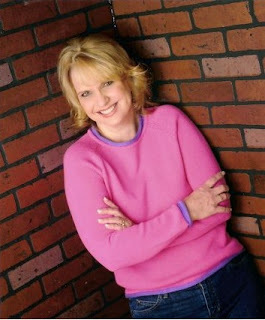 Hey Kathleen! Yikes! Kitchen fires can get out of control so quickly. Praise God the fire department arrived in time! Thanks so much for coming by! And thanks for sharing!! Thankfully I or my family have never experienced a fire! I can't imagine having to recover if you lost everything in a fire. Hey Patty. I know what you mean. There are so many sentimental things that would be irreplaceable. Things that are family heirlooms. My heart goes out to people who lose everything in a fire. Thanks for coming by. Never have experienced a fire, thank G-d. But I am sure it must be devastating! Thanks for coming by, Wendy. Thanks for this post Debbie. Interesting and bet was really scary. Yes, I've seen fires before. Also, I and my siblings were let out of school and given a ride to our home on the back of a flatbed truck. I was 6. It was scary seeing our house burning. The baby was sitting in a big box out by the well. I had to stop there and watch my brother. This was out in the country in 1941. No firetrucks.I would love to win your book. I shared this on Facebook. Oh Maxie, that had to have been just terrifying, especially as a child! Thanks for sharing that with us. I hope you do win one of my books!! Good luck. Thanks for coming by. Hey Kate, Thanks for coming by. I have a great reverence for fire. It's a wonderful thing but the destruction that it can leave when it gets out of hand. And I love candles, too! I have them all over my house. Good luck! Blessedly no, I haven't experienced a fire like this. Though living in a usually dry state like NM always makes one nervous. We have had to deal with smoke when there are forest fires, and keep a close eye all around for lightning strikes when a storm comes. But thankfully it's been a while since both!!! LOL! I appreciate your tenacity, Amada! I hope you win one of my books. It's really scary to watch the wild fires our west. I feel so sorry for all the people that lose their homes. But also the wild life. It breaks my heart to see all those animals die or lose their forest homes. Back in 2008 there was a huge fire in the canyon on either side of the small mountain town were we live as well as 3 smaller fires deeper in the woods. It was really scary. There is really only one way in and one way out unless you know how to navigate the dirt roads that go through the woods. We had to evacuate and everything was pure chaos. We made it out and the firemen worked tirelessly to keep the fires away from our homes. We were fortunate that our neighborhood was safe but there were many who were not so fortunate.Since that fire, they have worked to pave more of the roads out of here. Hey WinterRose. Oh my! That needs to be put into a book! What a scary experience. What state do you live in? I can't even imagine the fear that must have filled you as you fled for your lives. I'm so glad you escaped and all of your neighborhood. Praise God, I have never been involved in any kind of major fire. Although, when my daughter was an infant. There were 3-4 back to back explosions in all as the fire moved down the pipeline. One explosion was only a couple blocks away, so we were evacuated as our homes were engulfed in black smoke. The pipeline ran underneath a creek and three young boys lost their lives. I believe it has been the worst disaster our town (Bellingham, WA) has ever faced. Oh how horrible. Those poor family's. Do they know what caused the explosions? That had to have been so frightening. Thanks for sharing with us! Good luck and thanks for sharing! My parents were moving to a different house and before they were fully moved in there was an electrical problem and the house started on fire in the middle of the night. We were so thankful that they were not living there yet. The house was not fully destroyed and was repairable. Fires can destroy in the blink of an eye. Oh my! Talk about God's hand on your parents! What a blessing that they weren't spending the night yet. It's truly amazing how quickly fires spread. Amazing and Scary. Thanks for coming by. A few years ago we had a fire in our microwave, fortunately we put it out before it spread. This book sounds really good, thanks for a chance to win a copy. Thank you, Tina! I hope you get a chance to read it. I think a microwave fire would be enough of a fire to last me a life time! Thanks for coming by and good luck! My first teachig job was at a Christian school in Hawaii. The school was located in the old offices of a sugar plantation, and several other teachers and I lived next door in the old mansion next door that had been built for the plantation manager. One weeked we all went on a retreat and came back to find that the school building had been been set on fire and more than half of it destroyed before the fire was put out. We spent the last 6 weeks of the school year doubling up in the remaining classrooms, but the stench of the smoke was everpresent. I still have the one book I found relatively unscathed in the bottom of my charred desk, but everything else in my classroom was lost, including the term papers I had collected from students the day before the fire. I still remember the student who was upset I "let" his paper burn up! I had to chuckle over the student that was made you let his paper burn up! LOL. Thanks for sharing. I'd love to have seen the old sugar plantation and mansion. I love old homes. YAY!!!!!! Thank you! I can't wait to read it!!!!!! !